If you knew that the end of the world was imminent, that a comet was about to crash into our planet and obliterate it forever, how would you choose to spend your final hours? 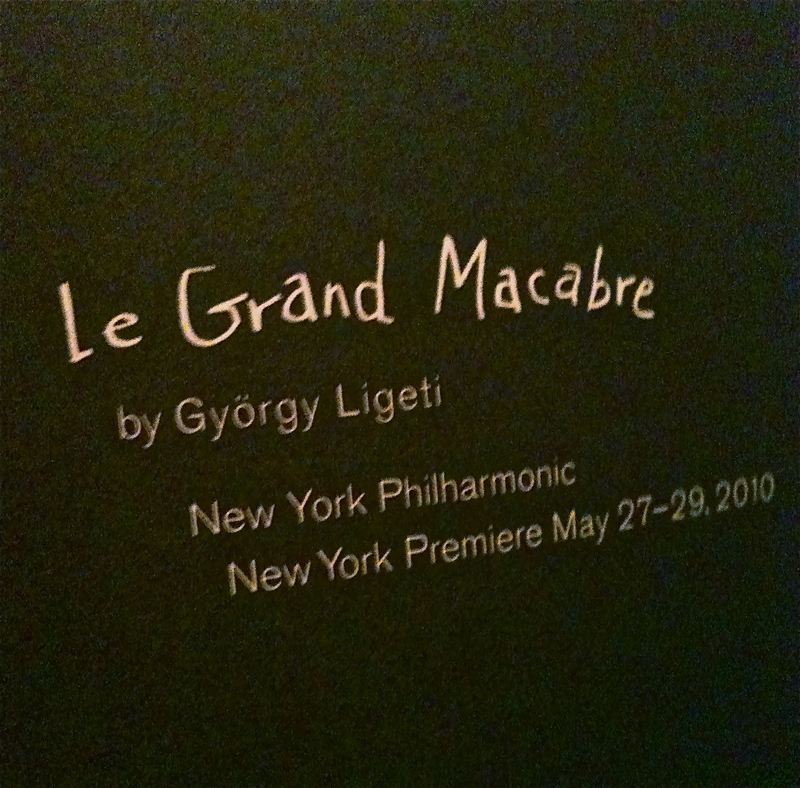 That’s the question posed by György Ligeti’s opera Le Grand Macabre, receiving its long-delayed New York premiere under the steady baton of Alan Gilbert and the impeccable New York Philharmonic. Having raised the issue, Ligeti offers an answer that may seem oddly consoling: people will spend their final moments doing pretty much whatever they have done before. They’ll jockey for power, they’ll revel in stupidity, they’ll engage in posturing, and they’ll get drunk and screw. In his absurdist treatment of our collective foibles, Ligeti manages to make the unthinkable approachable by rendering it comical. It’s a Rabelaisian world where two opposing parties, both completely corrupt, pursue the same crooked policies. And the arrival of the sinister, demagogic Nekrotzar – the Macabre of the title, who’s eerily secure in his faith and hell-bent on destroying the world – sets the whole topsy-turvy carnival in motion. The overture alone – scored for 12 pitched car horns, snippets of Beethoven’s “Eroica,” ragtime, laughter, jazz, and Viennese waltzes – is as good an indication as any that you should buckle up tight; its going to be a bumpy, wild ride.